USB Type-A Printable Plug #3DThursday #3DPrinting « Adafruit Industries – Makers, hackers, artists, designers and engineers! A printable USB Type-A Plug, male and female. 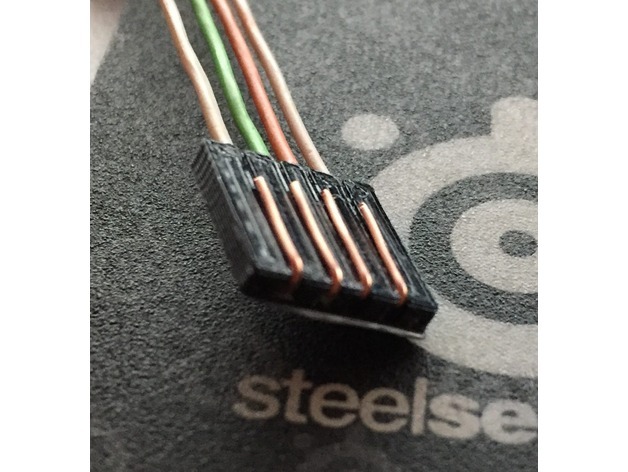 MUST be printed with 0.1 mm layer height, inital layer can be 0.2 mm. I used wires from an Ethernet cable. With female and male a extension cable can be made, I used one successfully with an USB-Stick.